Bicol Region, Philippines: Christmas Day is typically a day of peace and joy as families gather together. This past Christmas was anything but peaceful in the Bicol Region as Typhoon Nock-ten, locally known as Nina, made landfall. We have received reports of at least 6 people that lost their lives, with another 19 still missing. 1.5 million people were affected in Calabarzon, Mimaropa, Region 5 and Region 8, with 246, 586 families displaced. The Department of Social Welfare and Development statistics show that there are 68, 304 families staying in the 657 evacuation centers for a total of 316, 714 people. 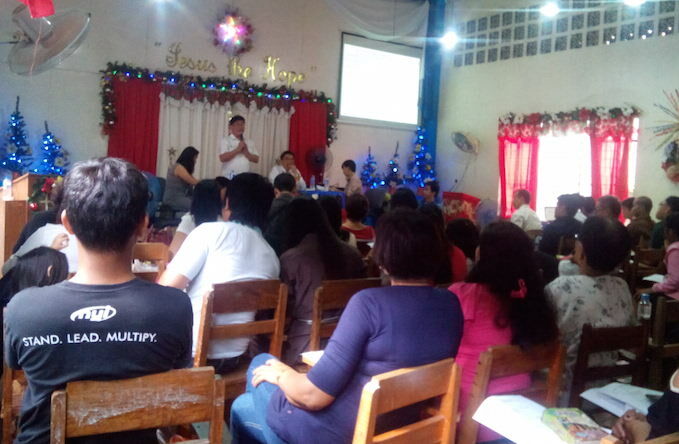 The Bicol District Assembly, with more than 70 in attendance, was held December 30th just days after the storm passed through. They were able to report on the damage to church structures and to church families that were affected as well as non-members that are under their outreach. They also reported that a total of 248 Food packs along with as many Crisis Care Kits have been handed out through four different churches. Thankfully, the only report of major damage to church structures was to the Linao Church that was totally destroyed (see picture above). 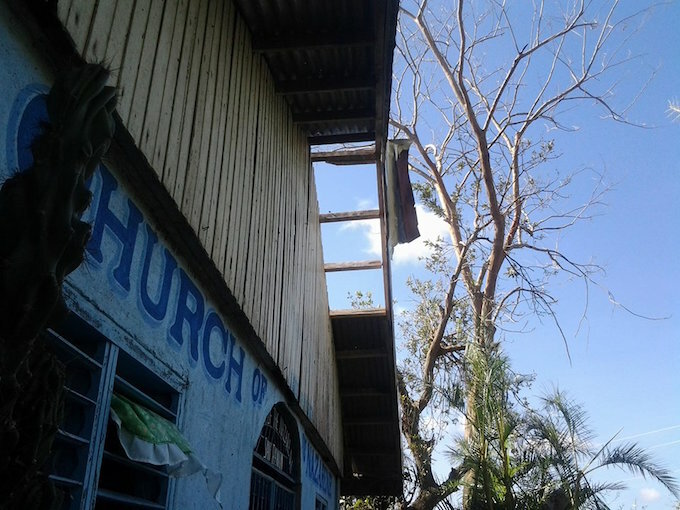 Other churches such as San Ramon Church (shown below) sustained damage, but were not destroyed. Pastor Jackson, the Nazarene Disaster Response Coordinator for the Philippines, will be traveling to the area to help coordinate the relief efforts with partnering organizations. The focus will be shelter kits for those that had homes destroyed and also the re-construction of the church building. Livelihood programs will also be addressed during this time. With the number of typhoons this field has endured, the Crisis Care Kit (CCK) inventory in the Philippines is quite low. 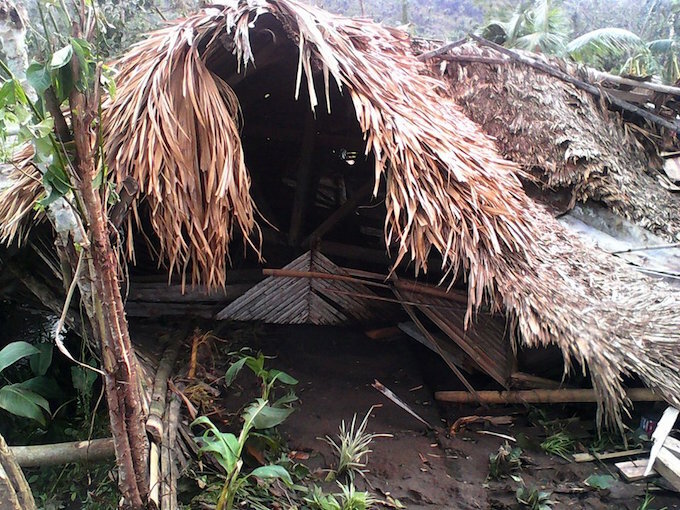 When disaster strikes, CCKs are an invaluable resource, and bring a measure of relief in the midst of a crisis, and when given through our churches, it is received as from the hands of the Lord. Please continue to pray for the recovery efforts, for the churches and church members affected and that outreach into the surrounding communities would be facilitated through the recovery process as we seek to be the hands and feet of Christ, using all possible means to reach the lost.